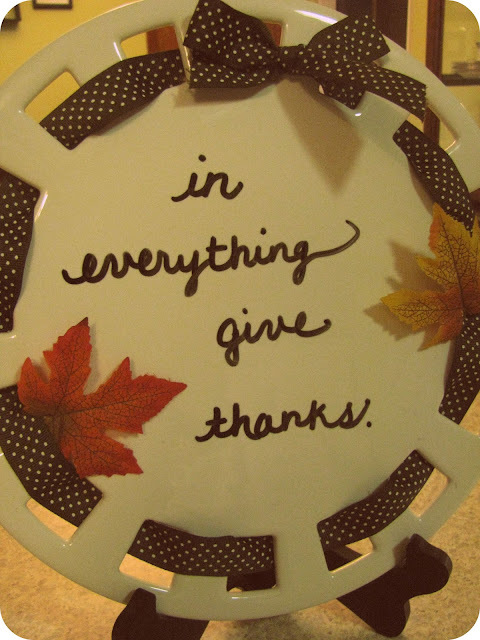 It is Thanksgiving week! Where has this year gone? 🙂 I wanted to pop on here quickly and wish each of you, my dear friends, a happy thanksgiving!! We are sick in our household…and it’s been several weeks now. I’m finding myself at the end of my rope and not feeling my best either. We’ve gone through a stomach bug and then what I think is the flu with the 3 children. We’ve had lots of tears, gatorade, whining, tv watching and crackers around here. In the midst of this sickness, I have been asking myself if I can truly be thankful and content in the disappointment of “missing” a holiday…and I’ve found God faithful. As always. Friends, how can I not be thankful when I look around me and see how God blesses…even in sickness. On top of all those blessings, I received this book in the mail today!! Ya’ll, the neat thing about this book is that I pre-ordered it when Ann Voskamp first mentioned it on her blog. It was weeks ago. Then, THIS MORNING I got an email saying it had shipped. UPS delivered it THIS AFTERNOON. God knew I needed this gift today. He is so good. Finally, in wishing you a happy thanksgiving, in realizing God’s timing is perfect, in learning how to be content in all things – with a seemingly discontent heart most of the time – I want to share this link with you. I would never, ever share this with the intent of making anyone feel that you are wrong for shopping on Black Friday. But her words gave me much pause for consideration, especially in my quest for contentment. I think she has some very valid points! I, for one, want to pause and count my blessings this week, especially, but everyday. You are one of those blessings, friends!! Happy Thanksgiving! !